After photographing her engagement and wedding I was more than excited to create stunning maternity portraits for Brittney at her new home, in the Panhandle. I love North Florida! The session took place at Fort Pickens, Pensacola, FL. Built in 1834 the Fort offers stunning backdrops and dramatic lighting for very artsy work. The National Park Service requires a permit for any professional shoots. If you are interested in booking let's make sure we have enough time to request the permit. Location: 1400 Fort Pickens Rd, Pensacola Beach, FL 32561. 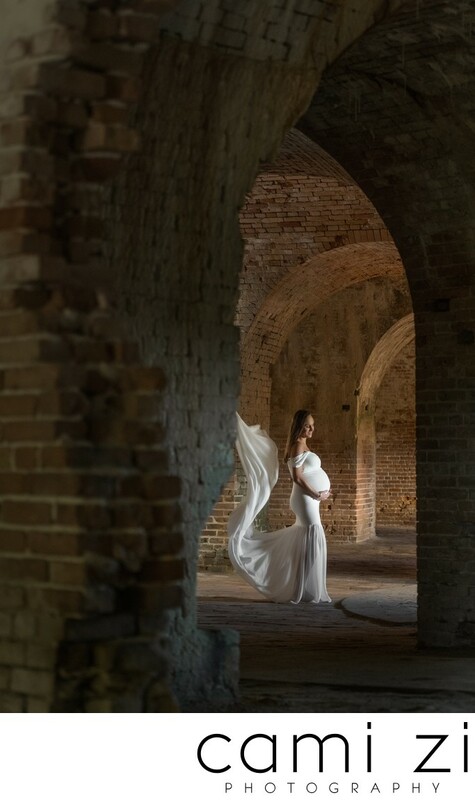 Keywords: Fort Pickens (3), Pensacola Maternity Session (3).